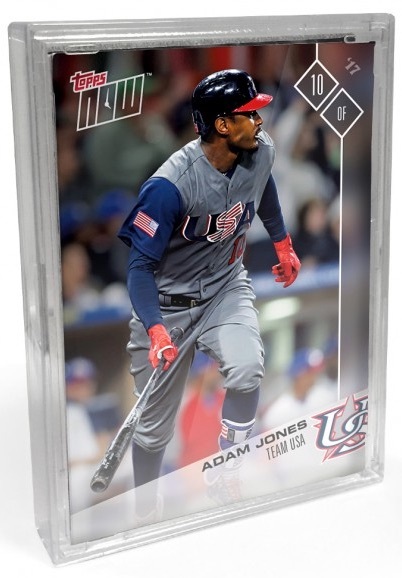 The 2017 Topps Now World Baseball Classic team sets take collectors to the closing rounds of the WBC tournament with exclusive options for each of the final four countries. In addition to a team set, every Topps online purchase earns the chance at bonus cards. 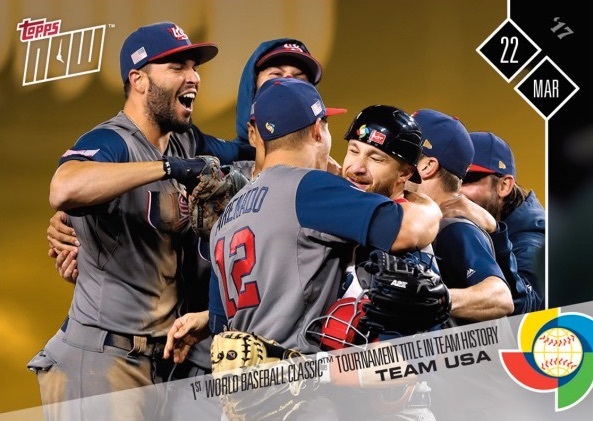 Adding to the daily card releases for the WBC, the 2017 Topps Now World Baseball Classic team sets focus on the countries that have played their way into title contention. Every set contains ten cards for each country to reach the semi-finals. Beyond that, bonus cards apply to team success on the field. So, if the country you purchase makes the finals, that earns a bonus card. And, if that team ends up winning the whole tournament, that yields a second bonus card. 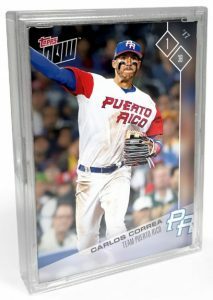 2017 Topps Now World Baseball Classic team sets sell for $34.99. 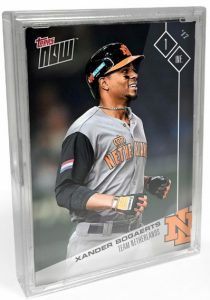 Unlike the standard 24-hour selling period normally applied to Topps Now cards, the Semi-Finals team sets are available until 24 hours after the team wins it all or is eliminated. 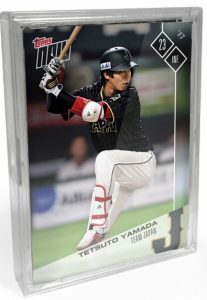 The 2017 Topps Now World Baseball Classic sets include semifinalists Japan, Puerto Rico, the Netherlands and the champion United States team. 2017 TOPPS NOW WBC W-54A TEAM USA GAME USED BASE RELIC #40 99 NICE DIRT PATCH! 12 cards. Final print run is 460 sets. Shop Team USA sets on eBay. 11 cards. Final print run is 330 sets. Shop Team Puerto Rico sets on eBay. 10 cards. Final print run is 143 sets. Shop Team Japan sets on eBay. 10 cards. Final print run is 70 sets. Shop Team Netherlands sets on eBay.